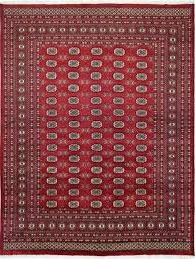 The rug weavings of the Central Asian Turkmen tribes were marketed in Bokhara and a repeating gul (medallion) design on red grounds is the most popular. 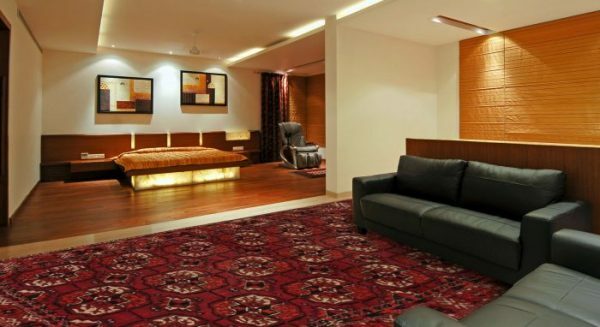 The wool and dyes of the best of these antique tribal rugs are outstanding, silky and saturated. Weave textures vary, but smooth, soft, resilient pile wool is a constant. Later weavers in Iran, Pakistan and Afghanistan have copied the patterns. Carpet weaving has been a major industry in Turkmenistan for much of the 20th century. Antique Turkmen rugs & carpets are hands down the best floorcoverings for libraries and studies: disciplined, elegant, retiring yet totally correct and authentic. Red in its innumerable shades works perfectly with the dark wood tones of bookshelves and the mellow hues of bookbinding’s. The Tekke tribe was the most important of the Turkmen tribes in the 19th century. The Tekke gul, repeated all over the carpet is the characteristic motif. Tekkes are the reddest of all Turkmen rugs and possess the most velvety pile imaginable.